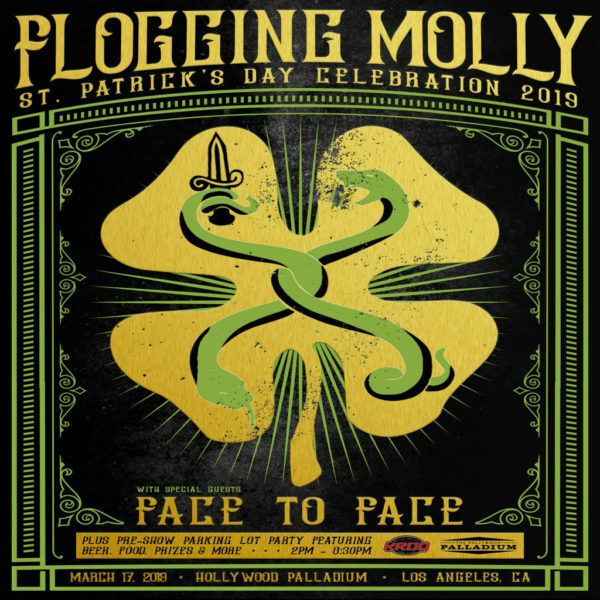 Irish-American folk punk band Flogging Molly returns to Los Angeles for their fifth installment of their annual St. Patrick’s Day show. The band will perform at the Hollywood Palladium on Sunday, March 17th. They will receive support from their friends of the band Face To Face. Tickets for the show are currently priced at $49.50. In addition to the great live performances, there will also be an abundance of food trucks, games, prizes, and of course, beer. The main show will begin at 6:00 PM, however, the pre-show parking lot party will begin at 2:00 PM. The show will be available to all ages. 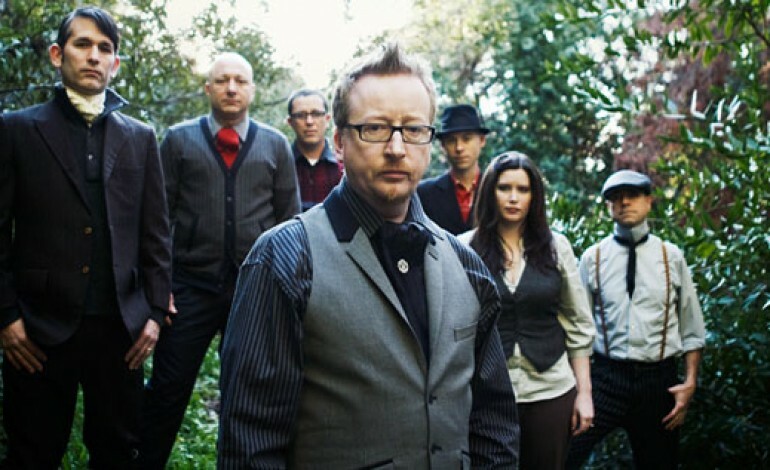 Flogging Molly is a punk rock band from Los Angeles that is primarily known for their implementation of Celtic instruments. This allows them to have their own unique and signature Irish sound. The rock group consists of Irish vocalist Dave King (Lead Vocals, Guitar, Bodhran), Bridget Regan (Violin, Tin Whistle), Dennis Casey (Acoustic Guitar, Electric Guitar), Matt Hensley (Accordion, Piano, Concertina), Nathen Maxwell (Bass Guitar, Vocals), and Mike Alonso (Drums, Percussion). The band is currently on their European tour and will eventually be making their run around the states next month. 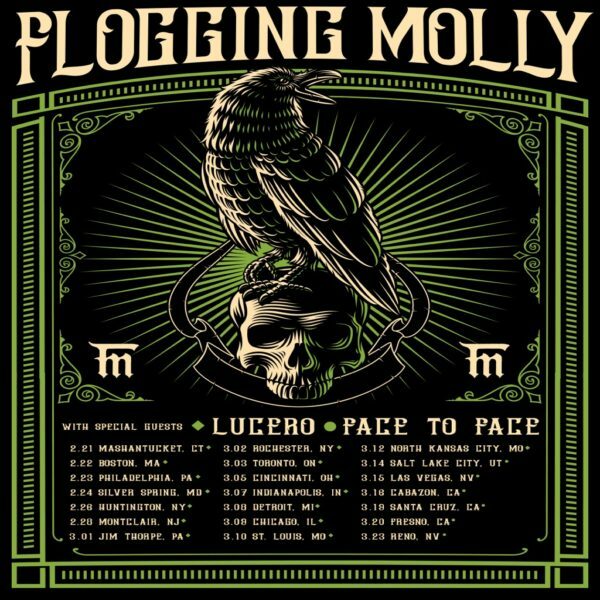 They will be touring with Face To Face and Lucero the scheduled dates. It’s only fitting to have this Irish influenced band put on another great show at the Palladium. Hit the link below to catch them on St. Patrick’s Day!